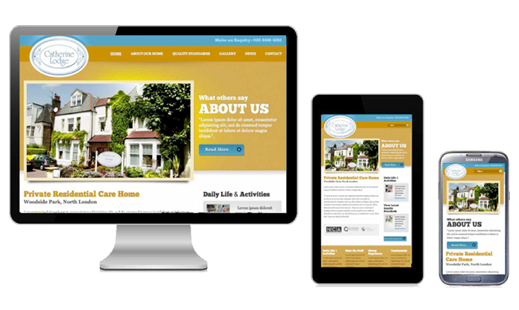 We build beautiful websites that work across all devices whether desktop, tablet or mobile. We are a leading website design and development business, working with clients to deliver better and more intuitive websites that work on any mobile device. Established in 2006, we have the expertise to design and develop for you a responsive website that adapts seamlessly whether viewed on desktop, tablet or mobile. We build all our websites from the ground up to work across any device ensuring you need just one website. We handcode all our websites with clean HTML5 and CSS3 coding for optimum speed across all devices. We price our websites per page so it is highly simple and efficient for our clients. It also helps easily determine exactly when a site will be ready. Our proven design process will take your business website from concept to launch in the most effective and cost efficient way possible. We can manage all your content updates for you or if you require we can integrate an easy to use content management tool. 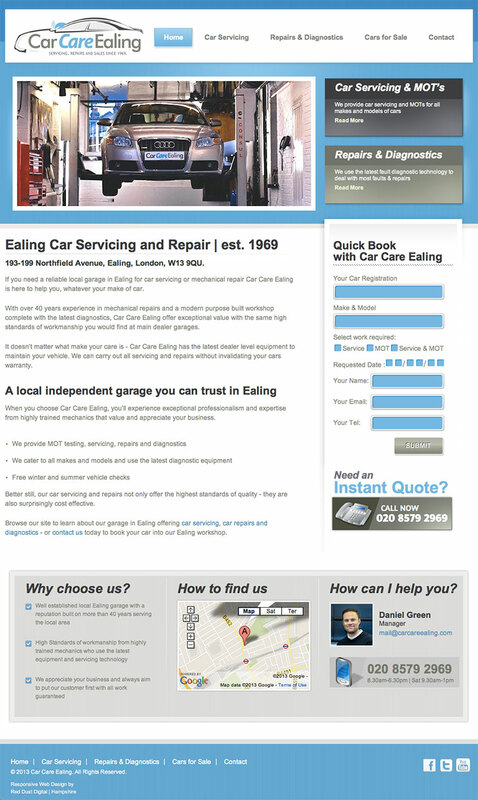 West London based Car Care Ealing needed a responsive website that would allow every potential customer to experience their website in full regardless of how they were accessing the internet. A well planned website improves your chances of getting new business. So, each month, we’re going to look at how to set up and grow your website - so that the search engines show your business above your competitors and your site's visitors have a great experience. Used by small businesses and large corporations alike, in any location. Our proven design process means that you can be based virtually anywhere so long as we can communicate by phone, skype or email. We have recently enjoyed working remotely with clients who were based in Florence, Barcelona, and Switzerland..